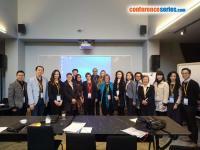 Women Healthcare Conferences aims at bringing together the professors, health Care Professionals, Midwives, nurse practitioners, health care Administrators, Physicians, primary care providers, Internal medicine Physicians, Quality & Safety Officers & Professors and students in all the areas of Health Care and Fitness. The total amount of Health Care Expenditure throughout the globe is $6.458 Trillion. Europe spends $1.897 Trillion on Health Care. 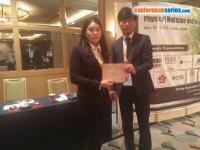 Conferenceseries Healthcare Conferences includes effectual keynote lectures from Health Care professional and serve as a platform between health care professionals and scientists or researchers. “Research and Diagnostics which provide a forum for academia, industry, regulators and researchers to come together to discuss the new environment for health care product development the challenges and the opportunities”;. Conferenceseries International Conferences provides infinite scope for associations by assembling academicians from well-known universities and top level industrialists from business groups to network on a same platform creating a channel for mutual associations and partnerships. 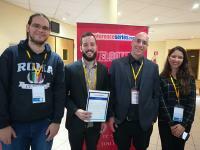 These conferences are a major avenue for young and talented students to advance their career prospects by interacting with distinguished scientific professionals across the globe. Gynecology Asia Pacific 2019: Invites you to join the “10th International Conference on Gynecology Obstetrics and Women’s Health” which will be held from October 24-25, 2019 |Auckland, New Zealand which includes Prompt Keynote presentations, Oral, Poster Presentations and Exhibitions. The conference program focuses on “Technical Strategies and Advances in Obstetrics and Gynaecology”. This event will heap together professionals and academicians in the fields of Gynecology on one hand, and , Scientists, Doctors, Managing Directors, Chief Executive Officers, Presidents and Noble Laureates on the other hand, from around the world, to share experiences, research outcomes, viewpoints and insights. 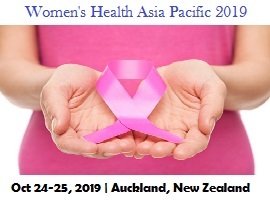 3rd International Conference on Women's Health and Breast Cancer (Women’s Health Asia Pacific 2019) extends its welcome to you during October 24-25, 2019 at Auckland, Newzealand with a theme ''Challenges in targeting Cancer and its Therapeutic Advances and Wellness of Women''. Breast Cancer can impact the total being of a Woman, different phases of threat, the reason for the infection, degeneration of cells, safe framework issue, and even loss of complete wellbeing and prosperity. 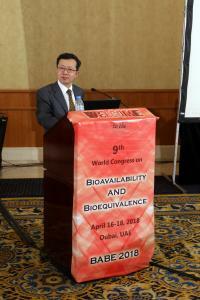 The pioneers in the research field and their exploration works are the major features of the gathering. The conference invites Breast Cancer Surgeons, WomenHealthcare professionals, Pathologists, Oncologists, Researchers, Students, Young researchers and business delegates across the globe. According to the World Health Organization (WHO), total healthcare spending in USA is 17.9% of its GDP, the highest in the World. Health share of GDP will continue its historical upward trend, reaching 19.5% of GDP by 2018. USA hospital care expenditure is $850.6 Billion and the gross output of USA hospitals is around $664,764 Million. The total number of USA registered hospital is around 5,723 while the number of USA community hospital is 4,999. USA healthcare spending per capita is $8508 where public spending is $4066, private spending is $3454 and out of pocket spending is $987. Others - 35% (that includes long term institutional care, dental, clinical laboratory, diagnostic imaging, patient transport, emergency rescue administration and R & D).